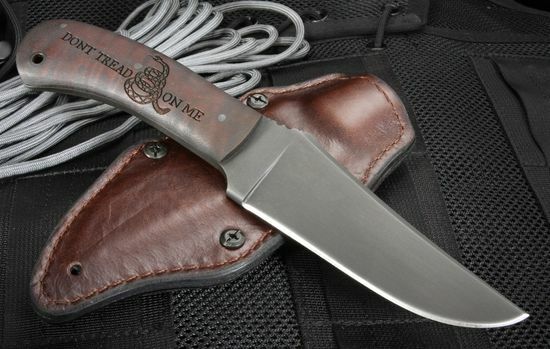 The KnifeArt.com Exclusive "DONT TREAD ON ME" addition belt knife is the ultimate in function and statement! 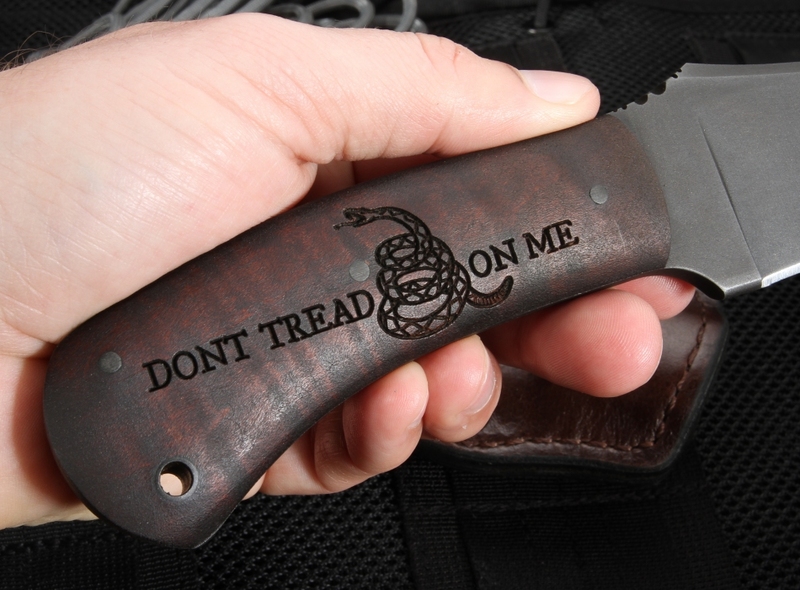 The premium curly maple handle features presentation grade laser engraved "Dont Tread on Me" Gadsden flag motif. The blade is 80CRV steel with a black caswell finish. The Winkler belt knife has a full tapered tang construction for fantastic balance and strength. The blade features a flat grind and a razor sharp edge. File work on the thumb rest of the blade spine adds an artistic and custom touch as well as positive forward grip. The 4 1/2" blade length and 9" overall length make this Winkler Belt Knife very versatile and comfortable to handle any task at hand. The handle is constructed of solid, premium grade curly maple. Contours of the maple handle fit amazing and tight in your hand. 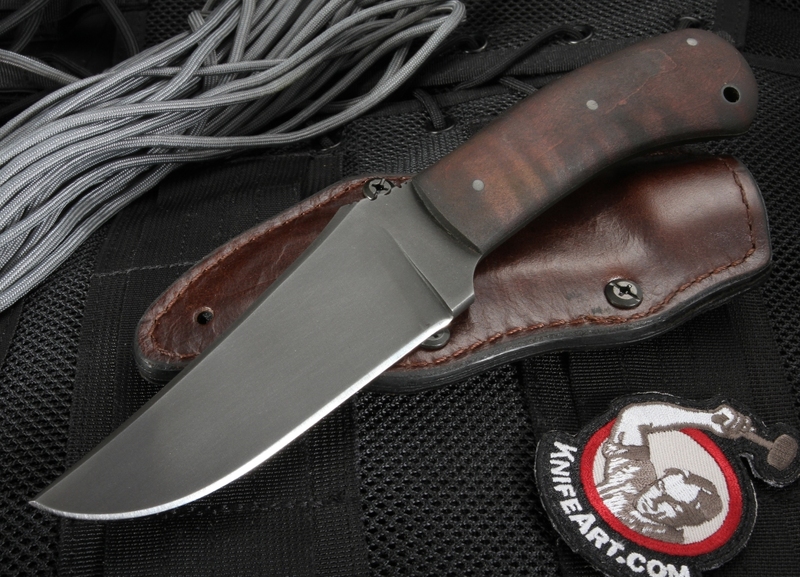 The full tapered tang design adds strength and balance to the Belt Knife. An integral lanyard hole is on the bottom rear section of the handle. This enables the user to add any type and size of lanyard that they feel will best suit their needs. 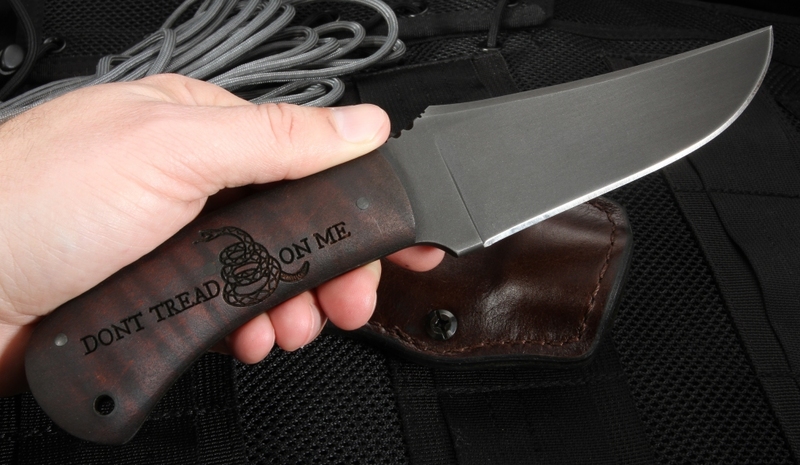 Handle is laser engraved with a Gadsden Flag motif. 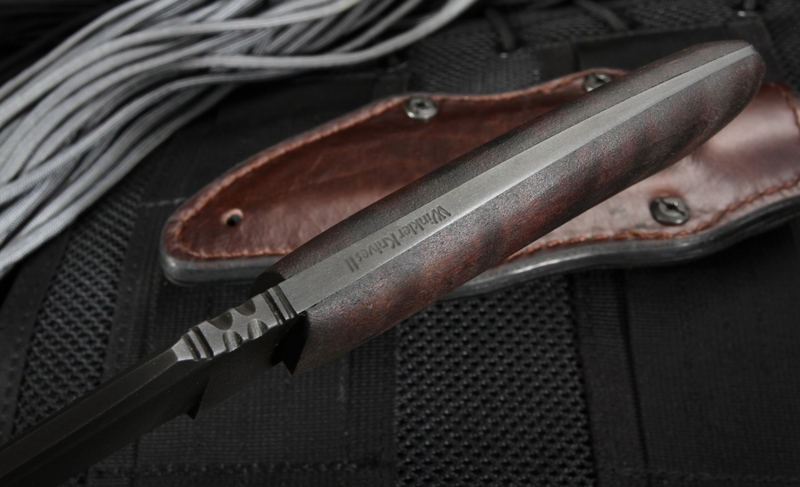 The sheath is multipurpose and multi carry, leather over kydex with a felt lining. The ambidextrous sheath can be worn vertically or horizontally with minor adjustments. 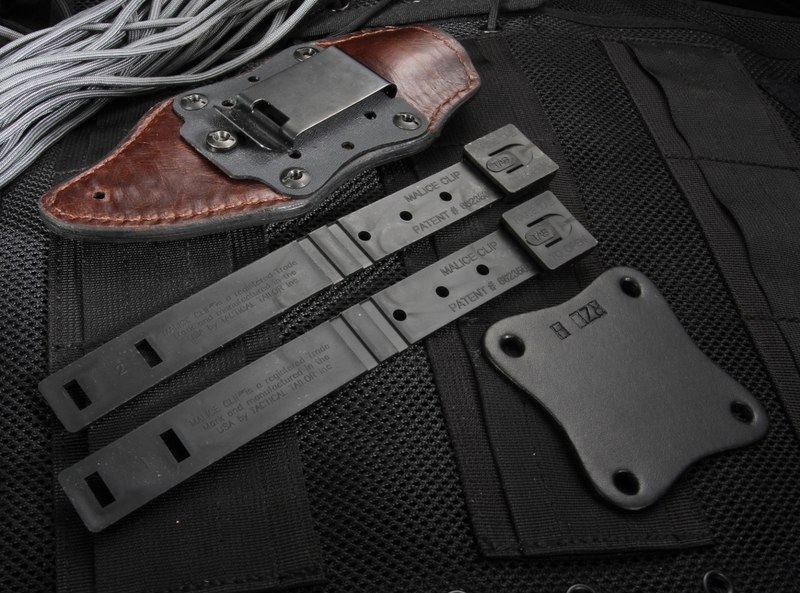 Sheath comes with malice clips and a leather attachment. As always, knife art has fast shipping and good pricing. The Winkler workmanship and quality isn't cheap, but the knives are worth their price. Haven't had a chance to use it in the field, but the blade/edge are fantastic and it is well balanced and fits comfortably in the hand. I purchased two of these knives as gifts for a couple close friends, and they absolutely loved them. Winkler knives are extremely high quality, and regarding the service from KnifeArt.com, they were very responsive and the package arrived sooner than expected. Great ordering experience!